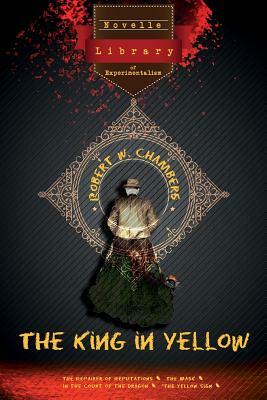 Novelle - Library of Experimentalism presents: "Robert W. Chambers' King in Yellow stories are among the few and most laudable eruptions by an American of the Decadent movement that flourished in England during the 1890s. One laments there were not more of such works." Thomas Ligotti - author of "Teatro Grottesco" THE KING IN YELLOW is a work of supernatural fiction that has influenced much and many, from Lovecraft to Nic Pizzolatto's True Detective. First published in 1895, the book is a collection of short stories: but of the ten stories included, only four actually revolve around THE KING IN YELLOW, that unearthly play which is "the very supreme essence of art," and whose second act undoes the minds of its readers. The present collection features only these essential four stories, the original source for all subsequent tales about THE KING IN YELLOW: the core of this fascinating and undying myth that Robert W. Chambers has brought into being more than a hundred years ago. "This is the thing that troubles me, for I cannot forget Carcosa where black stars hang in the heavens; where the shadows of men's thoughts lengthen in the afternoon, when the twin suns sink into the lake of Hali; and my mind will bear for ever the memory of the Pallid Mask.